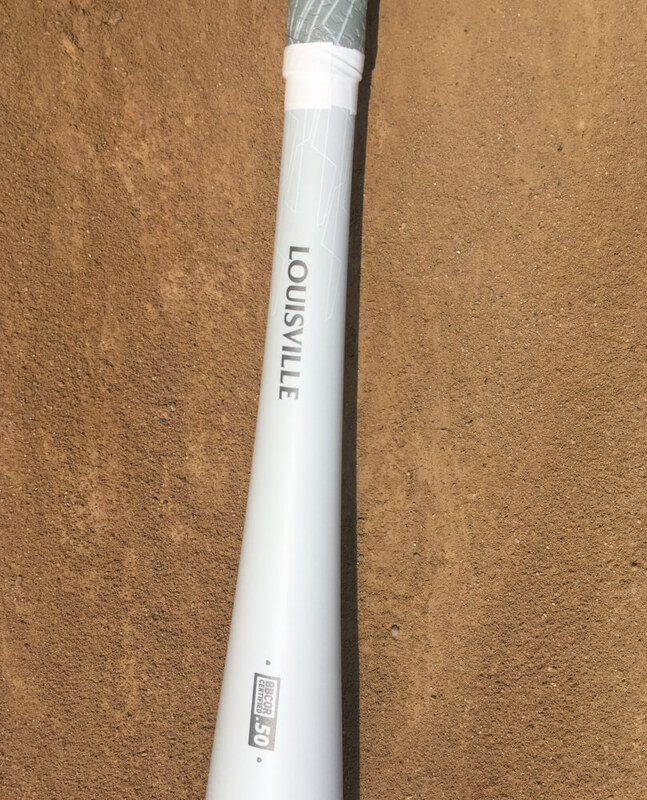 The Louisville Slugger Solo 619 returns as one of the lightest swinging one-piece bats on the market. This year’s model includes a vibration dampening handle that aims to minimize the damage done to your hands on mishits. This year’s Slugger lineup has a very simple, clean look to it, and the Solo is probably my favorite in terms of looks. The base color is matte white. Depending on the lighting though, it will sometimes appear as a light gray. This only happened when I was indoors or in low light. The grip and knob are gray, with a white geometric pattern covering the grip. This pattern also continues a little ways up the handle, leading into the small ‘Solo 619’ and ‘Louisville’ logos. The barrel graphics are simple but effective. Red, blue, and gray make up the logos. The endcap also has a cool look to it. 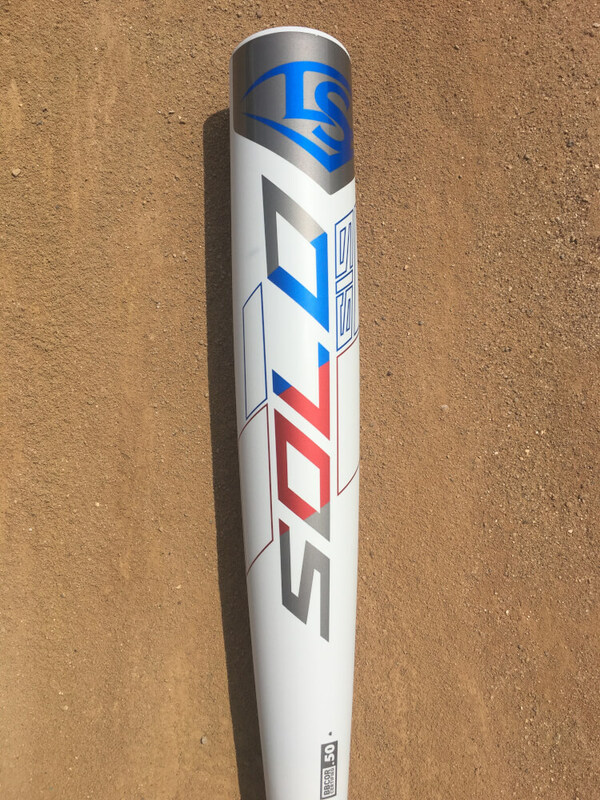 You can also customize the Solo 619 for $430. 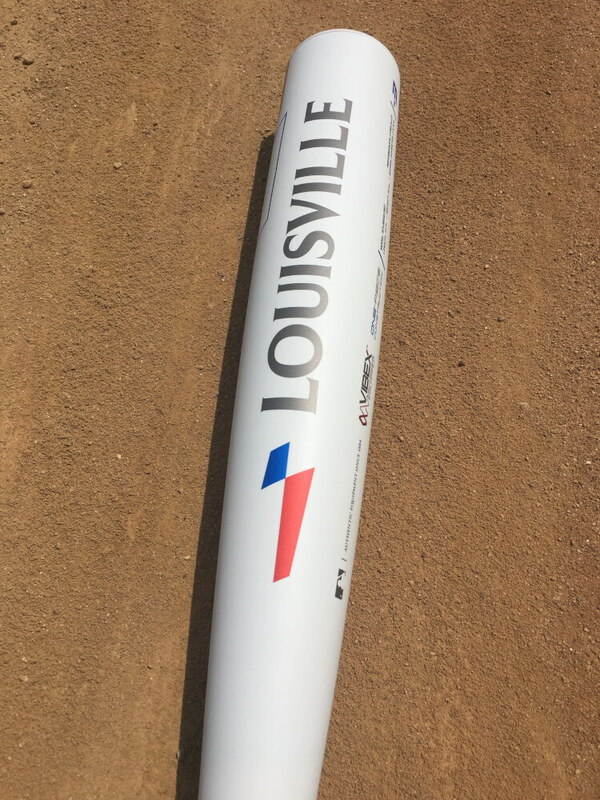 Louisville Slugger reintroduced their own grips to the 2019 line. 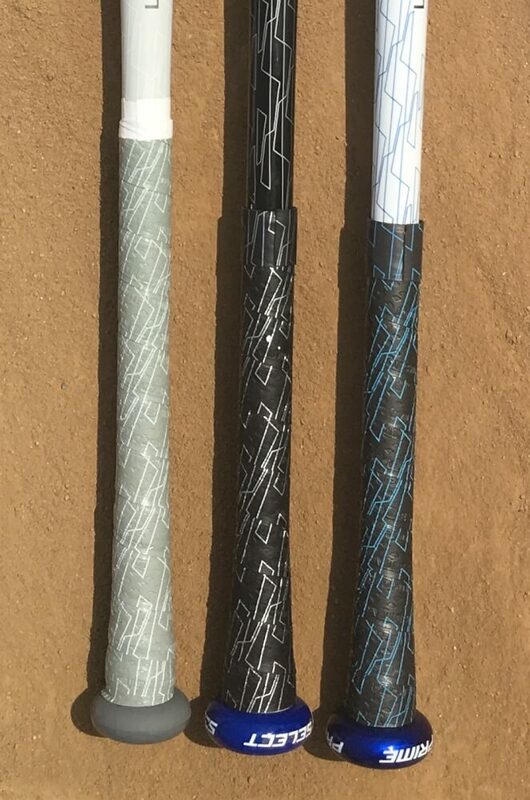 Since 2016, Slugger bats were fitted with Lizard Skin grips. 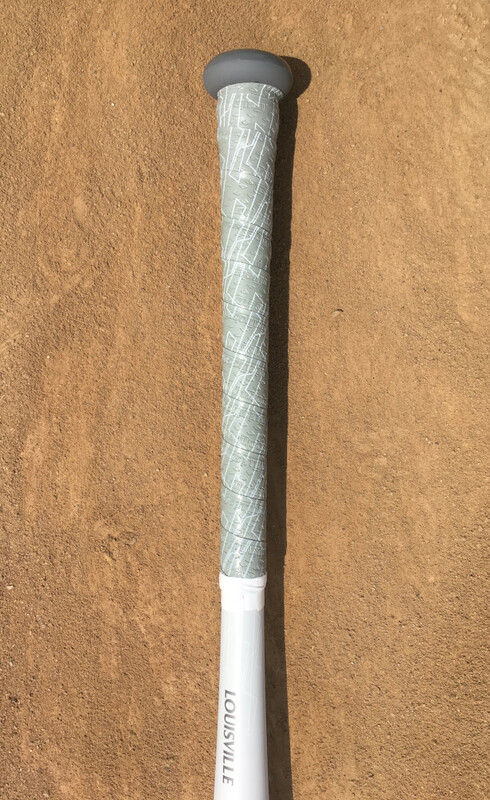 The new Louisville Slugger grip feels very similar to a Lizard Skin. I wouldn’t be able to tell the difference just by feel. Its a quality stock grip. Slugger uses a slightly different grip and smaller knob configuration on their one-piece bats. This is all part of the Vibex Vibration Dampening Handle. This technology incorporates a thinner, ergonomic knob with a grip that is longer than those found on the multi-piece bats. The Solo grip (left) is about an inch longer than the Prime 919 and Select 719 grips. I preferred this configuration because of the smaller profile of the knob. While knob style is ultimately based on each hitter’s preference, a lot of hitters will find the low profile knob on the 619 to be very comfortable. 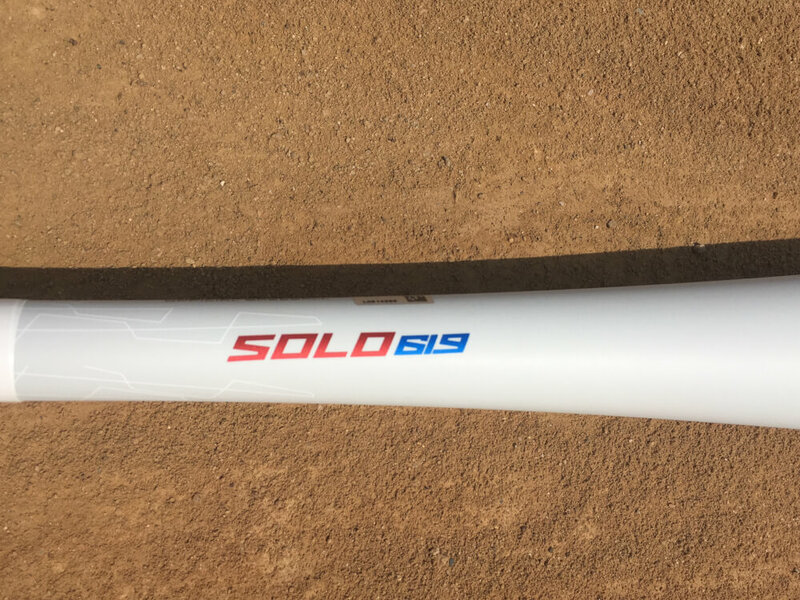 The Solo 619 is the lightest swinging bat that Louisville Slugger makes. 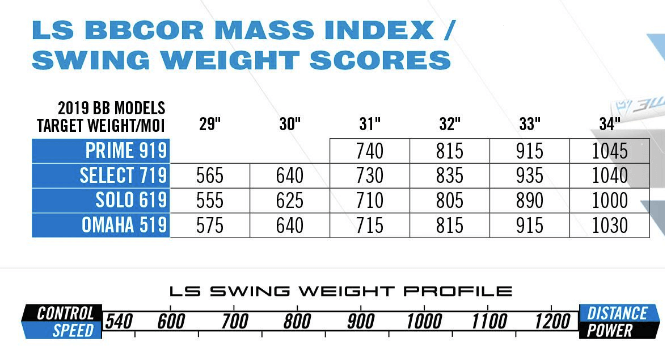 If you take a look at Louisville Slugger’s new Swing Weight chart, you’ll see that the 619 has the lightest swing weight in every length offered. 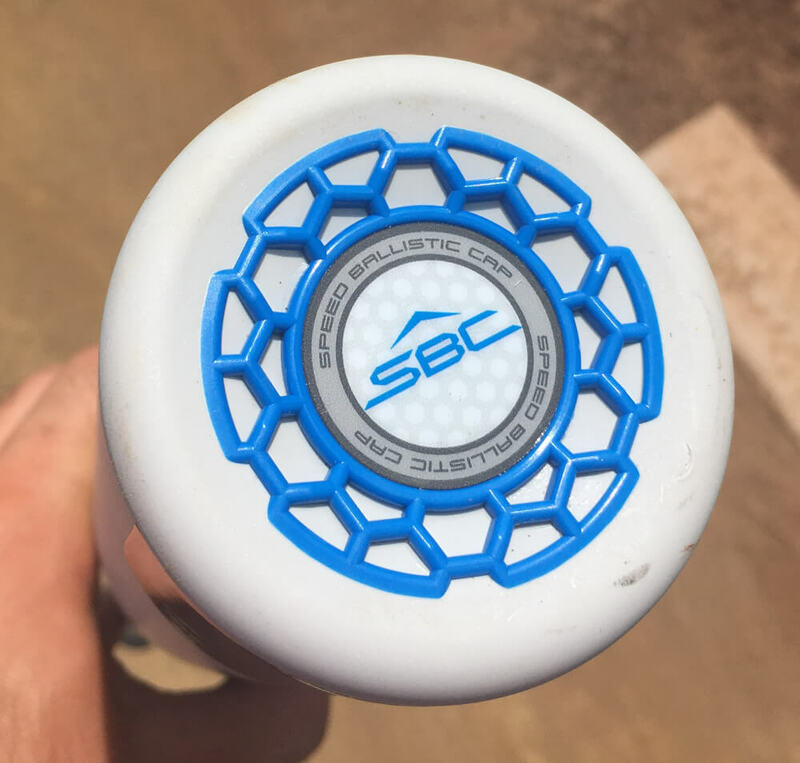 Slugger accomplishes this by combining their SL Hyper alloy and lightweight SBC endcap to minimize weight. 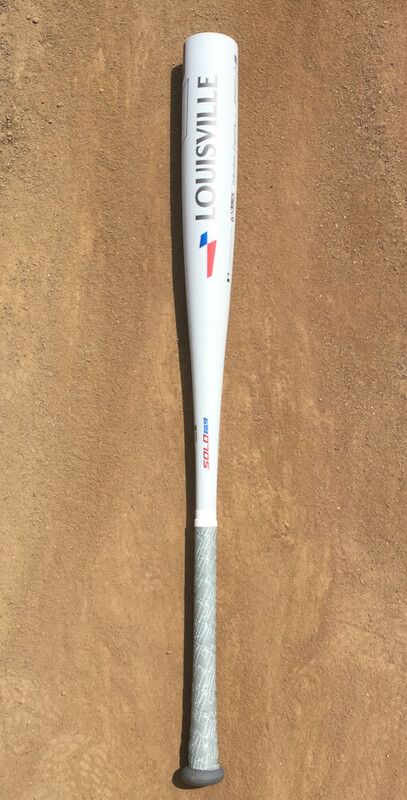 It’s one of the lightest swinging one-piece bats on the market, really only in competition with the Rawlings Velo. The lower the score, the lighter the swing weight. Since it is a one-piece alloy, the Solo will be hot out of the wrapper. 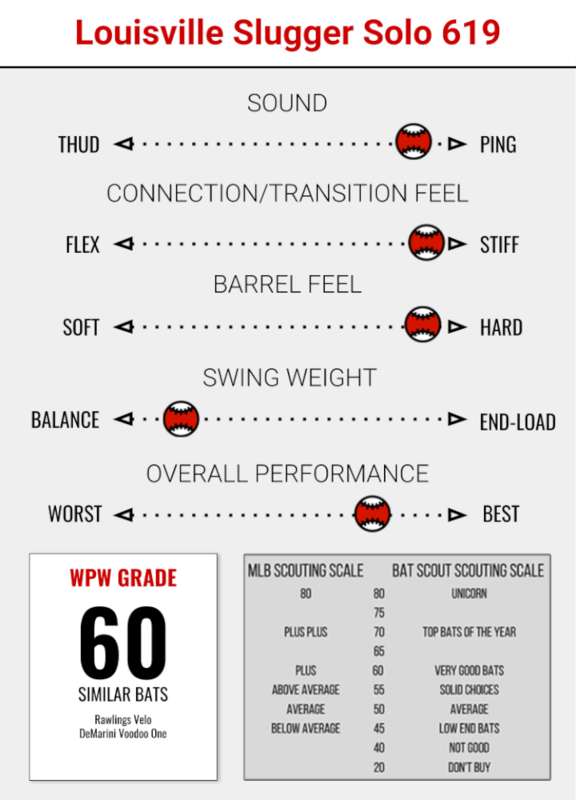 All hitters should be able to generate controlled bat speed with the 619 very easily. I found the grip and smaller knob very comfortable when I swung. Because it is such a light bat, it was really easy to get the bat through the zone. This extra bat speed allowed me to wait and make last minute adjustments on each swing, enabling me to square balls up easier. It has a good size barrel for a one-piece, and you have a little room for error on both sides of the sweet spot. On contact, the Solo produces a piercing ping. You’re going to turn heads with the noise whether you’re inside or out. Slugger’s new vibration dampening handle seemed to do its job fairly well. Hitting one off the end still didn’t feel great, but it’s definitely not the worst vibration I’ve experienced while hitting. It was a lot of fun to swing with the Solo 619. 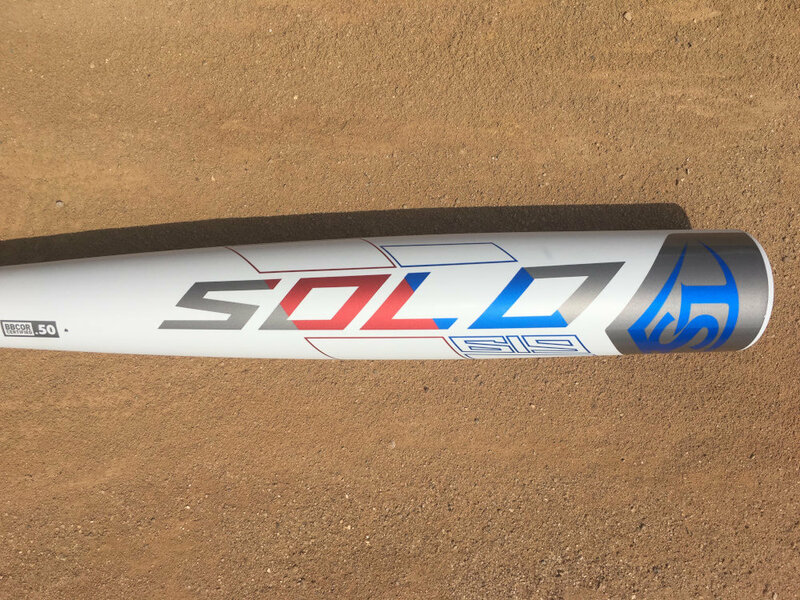 The Solo will compete with any bat in the lightweight one-piece crowd, with its best feature being its light swing weight. If you are in the market for a lightweight one-piece, be sure to check it out.